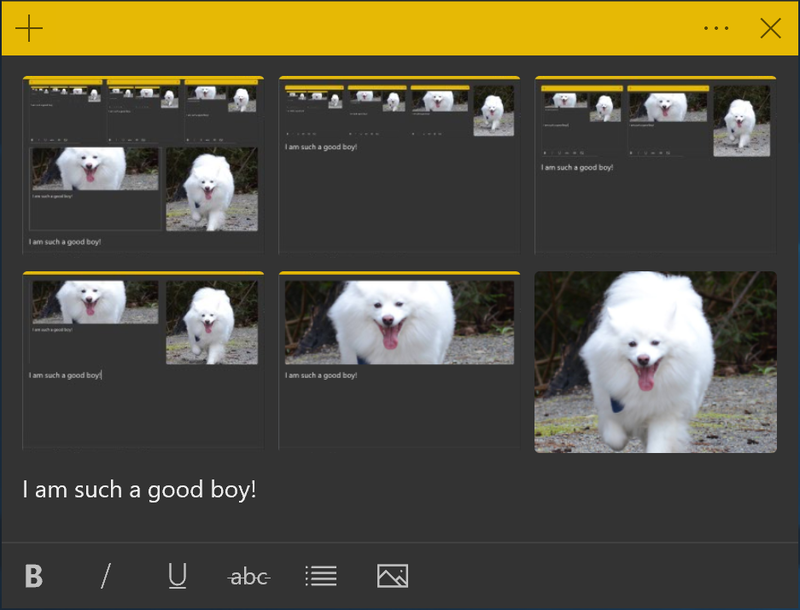 UPDATE 3/27: Sticky Notes v3.6 has been released to the Windows App Preview Program. Heads up Windows Insiders – Sticky Notes v3.6 is rolling out to those of you in Skip Ahead and on Builds 18855+! • Add images to your Sticky Notes. After all, a picture is worth a thousand words. • Improved speed and added icons to the context menu when selecting text. • Many more bug fixes and improvements. • Multi-desktop support is finally here. Stick your notes wherever your work takes you. • Select specific notes with the taskbar or with Alt + Tab and Win + Tab. But do not worry, Ctrl + Tab still is there for you to only switch between your Sticky Notes.